Climb aboard the world's sole-surviving tea clipper for a voyage across the seas of time, experiencing the life of the 19th century crew. Our family testers loved all the hands-on experiences on offer on board, from interactive apps for your phone to swabbing the decks with miniature mops. It’s all hands on deck for an action-packed day recreating the adventures on the high sea of the world’s most famous sailing ship. 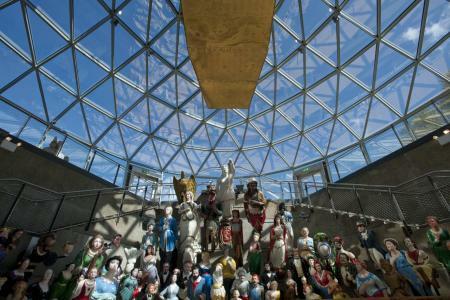 The Cutty Sark is now a fantastic hands-on display with something for all ages. Dominique Dinse visited with Oliver, 10, and Ben, 9. Built in 1869, the Cutty Sark was once the world’s fastest ship, setting new records every time it criss-crossed the globe to bring back precious cargoes of tea from China. In its heyday it could carry 10,000 tea chests at a time – that’s 200 million cups of tea – today worth more than £18million! When steam ships eventually surpassed its impressive speed, it was sent to Australia to carry wool back to London. Over its colourful lifetime the Cutty Sark was used to ferry everything from coffee to cocoa beans and shoes to shark bones, notching up distances travelled the equivalent of to the moon and back nearly three times! Since 1957 the former tea clipper has been on display at Greenwich and it makes a magnificent sight as visitors arrive on the riverbank ready to explore one of London’s most historic quarters. After fire all but destroyed it in 2007, the impressive attraction has been thoroughly restored, allowing visitors to once more take a walk back through seafaring history. Refreshingly for such a major tourist attraction, pretty much everything is safely hands-on here – great news for parents of inquisitive teenies. Below the main deck, in the cavernous space where the valuable cargo was once stored, various play activities have been set out, just begging little visitors to have a go. Try kitting out a wooden toy ship with mini sailors and miniature boxes of tea and wool; rearrange a muddled Mad Hatter’s Party picture tile scene that plays on the tea theme; play guess-the-smell with an array of whiffy items including (fake) pig poo and stinky socks – so you can pretend to be one of the youngest crew members whose job it was to muck out the farm animals and wash the captain’s smalls. Up on the main deck have a go at swabbing the decks with kid-sized brooms and mops; jumping on the crew’s bunk beds, even peering down at the crowds passing dizzyingly far below through portholes considerately located at ankle-level. 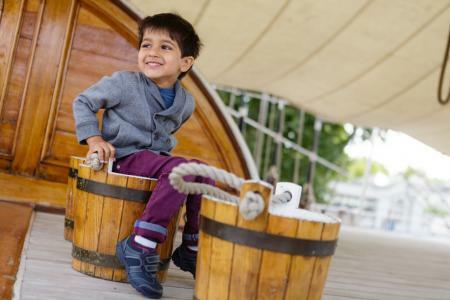 Littlest visitors will also love crawling around the ship’s nooks and crannies to track down the treasures depicted on the Family Trail – a free writing-and-drawing activity for ages three and up given out with your ticket. Under-5s family backpacks crammed with toys, sensory objects and a story are available from the admissions desk and there’s even a Wednesday-afternoon toddler song and story time followed by free play – phew! All in all, this is one of the best attractions for youngest visitors we’ve come across. Facts and figures are brought entertainingly to life for this age group with a series of interactive installations. The little theatre just past the ticket office shows a short film on a loop telling of the Cutty Sark’s history and posing quiz questions afterwards to see how closely everyone was listening. Fun facts about tea and wool are set out on imitation tea crates so realistic that the whole cavernous interior even smells like tea leaves. This age group will also listen rapt as actors playing the ship’s cook, captain and other characters tell stories about life aboard – including just how many weevils you could expect to find in your ship’s biscuits and the pet monkey who liked to steal the crew’s sugar ration! There’s a hologram of a young apprentice reading out his letters as he writes home in 1894. Below decks in the activities section, kids are invited to imagine they are sailors and write a letter home – with pencils and paper provided – popping the finished result in a replica Victorian post box. You can download and print free trails for little ones (Animal hunt and Ship shapes) before your visit. Older children made a beeline for the closest thing to a video game aboard this historic clipper – an interactive flat-screen game that lets you steer a cartoon replica of the Cutty Sark from Sydney to London, navigating the ocean currents and trade winds to see if you can beat Captain Woodget’s impressive 67-day record. 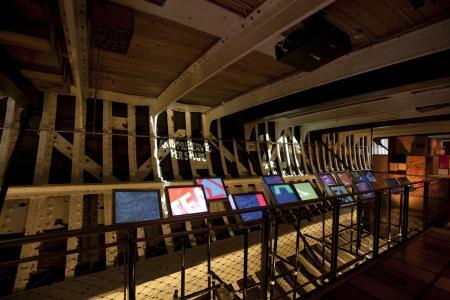 There are more hands-on screens around the activities area below the main deck, showing exactly where you are in the vast interior and pointing out interesting things to look for. At the back of the ship – or the stern, as even the most diehard landlubber will have learned to refer to this by the end of your visit – there’s even a scene on a TV screen showing what the view would have been from there as the ship set sail from Sydney harbour laden with a full cargo of wool. Rarely in a museum space are screens used for such imaginative, instructive effect. A Captain's Challenge trail for KS2 kids can be downloaded and printed before you visit. As part of the ambitious conservation project after the devastating 2007 fire, the ship was raised more than three metres so since 2012 it has sat suspended above the passing crowds, allowing visitors to stand directly underneath for the first time. Don’t miss the opportunity to do this – the vast, sunlit-hall beneath the cavernous bow holds both the café and the family-crafting area, so whether you’re snacking on a sandwich or making a maritime mobile, you can pause and look upwards to marvel at the world wonder above you. Kids with mobile devices will leap at the chance to download the Cutty Sark app and play at being captain’s apprentices as they explore. Organisers have crammed a host of sea-themed activities into school holidays and the first weekend of each month, all included in the price of admission. On the day of our visit, Oli and Ben made wooden spoon sailors, then dressing up in oversized sou’westers to have their photo taken with them and printed out as a souvenir – a lovely touch. Full details of what’s on when are available on the website, so you can plan before your visit. Mealtimes at the Cutty Sark couldn’t be further from meagre ship’s rations below decks in the crew quarters. The new Even Keel Café is aptly named for its position almost directly beneath the Cutty Sark’s awe-inspiring keel, now so magnificently displayed since its renovation. The café is a light, bright, modern and sunlit space – thanks to walls of diamond-shaped windows above. Hungry youngsters are ably catered for with the £4.95 Kids’ Pirate Lunch: sandwich and drink plus a choice of two snacks from a list of crisps, cheese, yoghurt, cake bite, fruit pot, raisins or piece of fruit – plus a cool toy! For grown-ups there are homemade treats to tempt including sausage rolls, chicken pie or quiche (all £5 with salad) plus freshly made sandwiches and hot meals. Best of all is the Family Lunch Deal – two hot dishes, two hot or cold drinks plus two Kids’ Pirate Lunches. All £25 (or £17.50 for one adult with two children). Highchairs and meal/bottle-warming facilities are also available. Nearby is beautiful Greenwich Park, so if you’re packing a picnic, head straight there after your visit to the ship so the kids can play underneath the shady trees. 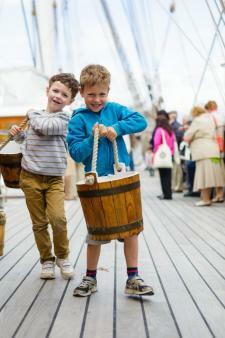 Tickets for the Cutty Sark are £13.50 adults, £7 children 5-15 years (under-fives go free), £11.50 concession. Family tickets are £24 (one adult) or £35 (two adults). For best value combine your visit with a visit to the Royal Observatory. 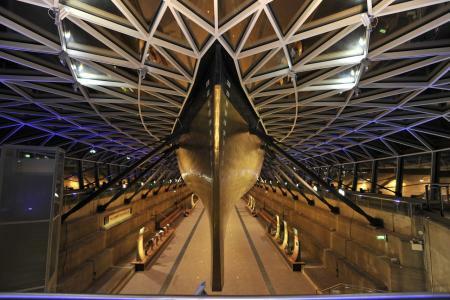 Cutty Sark is open all year round (except 24-26 December), Monday to Sunday 10am-5pm, last admission 4pm. It’s easy to spend a day here – so arrive early! Sea-themed treasures can be had for a fiver or less. There’s a ship in a bottle for £5, pen with a floating ship inside for £3.50, wooden games for £3 each, and compass keyrings for £3 – even a stuffed rat for £5! Find out more about the Cutty Sark and her history and explore some of the objects associated with seafaring in the museum's online collections. Museum reviews for parents: we need YOUR help! 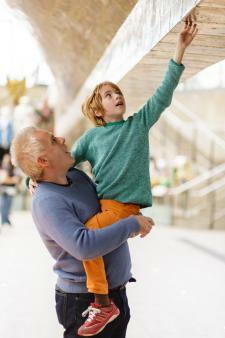 TheSchoolRun is looking for families to visit museums and other educational venues around the country and 'review' them. Get in touch to have your say about the best family days out (with a learning twist! ).